If you suffer a serious injury that leaves you totally and permanently disabled or in need of income support, you may need to rely on insurance to meet your financial obligations. Such injuries can put a lot of stress on you and your family, as well as cause significant upheaval. The last thing you need is to be worried about whether your insurer will pay, or even whether you have insurance. When dealing with all the legalities at such a difficult time, many people don’t realise that their superannuation policies may have insurance that can be claimed in addition to other forms of compensation, for example workers compensation or damages for injuries caused by a car accident. So let’s take a closer look at how this insurance operates and how a lawyer can help you. It’s important to understand that not all superannuation policies have insurance policies. It is often something you have to choose to have as part of your policy. Total and permanent disablement insurance and income support are two types of insurance that are commonly available. Many superannuation policies provide that if the person becomes totally and permanently disabled they have an entitlement to a lump sum of money. But what constitutes TPD may vary from one policy to another. It can mean that you can’t work again in any occupation, of that you simply can’t work any more in your usual occupation. The purpose of the payment is to support the injured person because they are unable to work and might have children or a partner who depend on their income. If you are injured or disabled, either totally or partially, income protection insurance can support you with regular payments that are usually a percentage of the income that you had prior to your injury. Typically, payments last for 2 years or up until the age of 65 (whichever period is shorter). To claim a superannuation insurance payout, you need to meet the criteria listed in your superannuation insurance product disclosure statement. This can be a difficult area to navigate as injuries are frequently difficult to assess – there can be conflicting medical opinions and often they need to stabilise before they can be processed. When you’re so vulnerable, it’s really important that your claim is handled as efficiently as possible and that’s where insurance lawyers, for example Websters Lawyers, are worth their weight in gold. For a start, they can help work out how much you should be paid which can be a complicated process depending on the extent of your injuries. Websters Lawyers can also manage any other claims that you may have. Having all of your legal files managed by a single firm means that your lawyer can be well versed in all aspects of your claims and injuries. And if your claim is rejected by your superannuation fund, your lawyer can assist you with taking legal action to have the decision reversed. When there are other legal issues in play, for example you were injured at work and so are claiming workers compensation, it is not commonly known that you can claim insurance payouts on your superannuation in addition to any other legal claim that you may have. And sometimes it is not clear from your policy that you may be entitled to a payout. Depending on how quickly your other legal claim can be processed and resolved (sometimes this can take years if there is a dispute and a trial to resolve the issues), it may be an advantage to get your superannuation insurance claim underway as soon as possible so that you’ll get some money when you really need it. As there are specific criteria set out in the legislation, it is best to get legal assistance to ensure that you meet the requirements. A lawyer can also assist you with gathering evidence of your circumstances to provide to the insurer. Even at the best of times, superannuation is a complicated beast. But when you are suffering from severe stress due to injury or illness, trying to understand how to make it work for you can be overwhelming. Using a lawyer can really help you to preserve your legal rights and to make sure you get all of your entitlements. 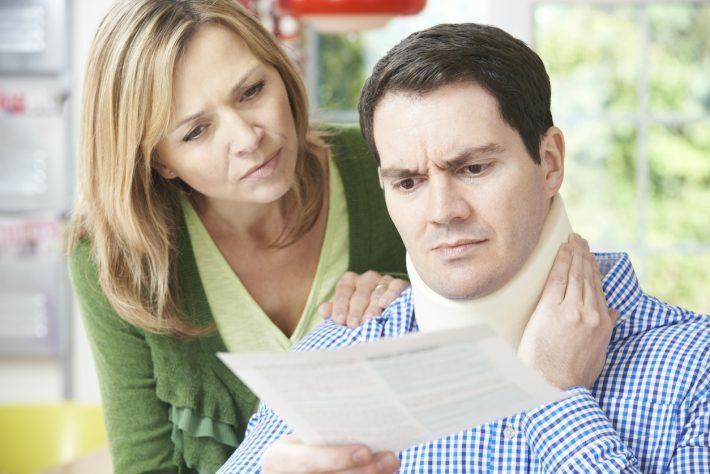 Websters Lawyers have experienced insurance and compensation lawyers who can assist you with all aspects of your claims. Contact us today for a free first interview.